Law firms that need to do large amounts of ‘one-off’ work often use dictation. Team Talk bridges the gap for those firms that need to dictate both one-off and case management type documents. Firms that use our digital dictation software benefit from being able to use it fully integrated into our case management software. This means that they can produce a case management document with just the top (head up) and the footer (sign off) automatically inserted and for the fee earner to dictate the body. The advantages are clear in that the names and addresses of the contacts are called from a database and so not keyed in, the secretary gets the document along with the dictation. •So all in all the fee earner dictates less, the secretary type less and the document that is produced stays against the matter throughout the process. •Our digital dictation software is fully integrated with Philips Speech Technology Hardware meaning fast, efficient job management, reduced job sizes, better sound quality. •Jobs that are created by secretaries are delivered back to fee earners for checking electronically. These can then be approved or amended and delivered back to a secretary or approved for printing. •The whole system works with HOT DOCS, PC-DOCS, IMANAGE, or as a stand-alone digital dictation and workflow management system or integrated into DPS case management software. •Team Talk can be used from within Outlook (Outlook 2003/2007 and 2010) meaning that the user can see their jobs from a more familiar interface. 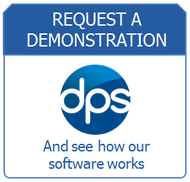 For further information on how our digital dictation software could benefit your practice or for a NO-OBLIGATION demonstration of this or any other DPS application please contact us.